Blogging every Tuesday at www.southernbelleview.com. The past has come knocking on Julia’s door. Can she summon the courage to answer betrayal with love? Julia’s best friend, Marney, broke up her parents’ marriage years ago. 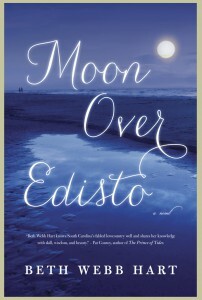 Now Marney shows up at her Manhattan apartment, asking the impossible—come home to Edisto Island to care for the half-sisters and half-brother she has never known. Marney, recently widowed, has lung cancer. There’s no other family to care for the children while she’s in the hospital following surgery. Julia loathes Marney. But if she doesn’t step in, her own mother—who has never gotten over the divorce—will be called upon to take care of the children. So she heads to South Carolina to keep the peace. 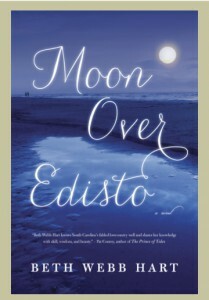 On Edisto, she begins to reconnect with the place and the people and she’s been running from her whole adult life. There’s the local doctor who once stole a kiss from her on that very beach, and the siblings she’s never known—especially the sister with selected mutism named Etta who’s the keeper of nearly every family secret . 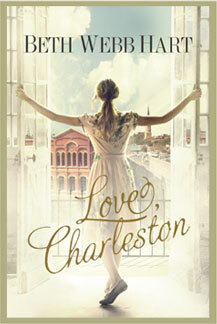 . . including the very one that just might bind-up Julia’s long-since shattered heart. 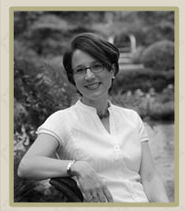 Photo by Amey M. Warder “Welcome, Beth Webb Hart, to your well-deserved place as a writer who knows South Carolina’s fabled lowcountry well, and shares her knowledge with skill, wisdom, and beauty.” – Pat Conroy, author of The Prince of Tides. Site design and development by Chris Paul Design, LLC.